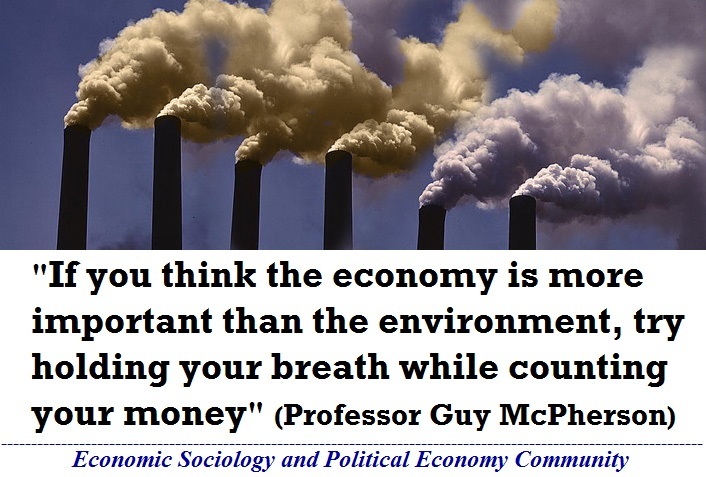 “If you think the economy is more important than the environment, try holding your breath while counting your money.” – Professor Guy McPherson, School of Natural Resources, University of Arizona. This sharp quote is from Prof. McPherson’s post “Time for a revolution” on his blog, May 29, 2009. This entry was posted in Books and tagged capitalism, environment, Industrialization. Bookmark the permalink.